Outlines approaches, definitions, and mechanisms for scaling effective programs, ideas or innovations, technologies or skills, and policies, with a focus on impact over size or reach, as well as practices that facilitate scaling and strengthen results. Copyright 2011 Grantmakers for Effective Organizations. 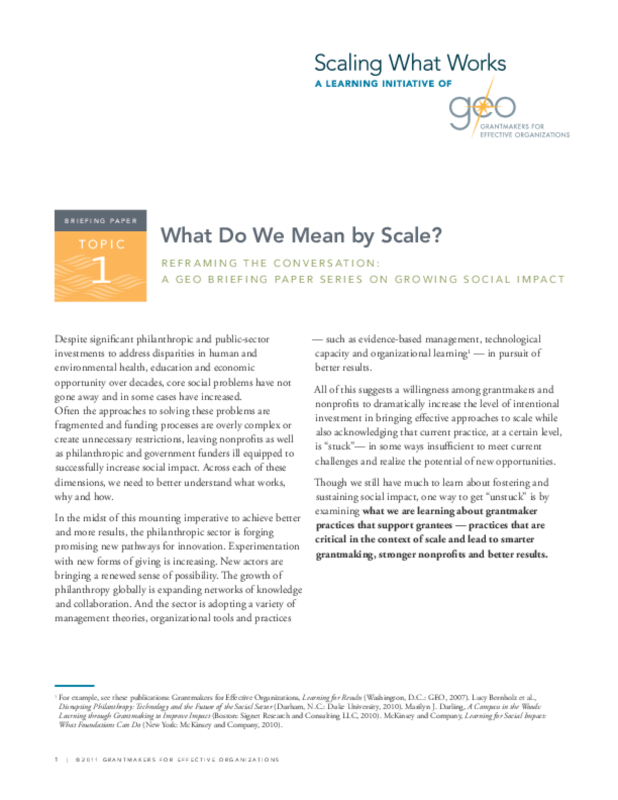 Title: Reframing the Conversation: What Do We Mean by Scale?